If yours is a stepfamily at the breaking point, one of the growing number of unsuccessful stepfamilies, read some encouraging, humorous advice on your way toward developing healthy relationships. "Engaging. Real. Heart-warming. Without pretense. "You're NOT My Mom!" recounts the ups and downs of a stepparent and stepchild tying to find peace and love. A real-life drama, rooted in discipleship, filled with hope." 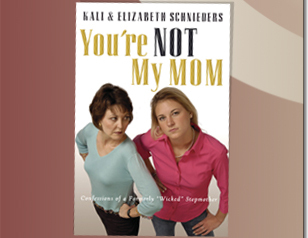 Kali Schnieders - Stepmother and author will captivate your audience. She speaks to the heart of all families, 1/3rd of which are stepfamilies. Program: “Wicked No More” - How to Create Your Extreme Stepfamily Makeover and Build Healthy Relationships for Life. Kali is a highly popular speaker AND a Dynamic, Articulate Talk Show Guest. She even hosted her own TV show!! Qualified - Kali Schnieders has been on hundreds of syndicated talk radio/TV shows and has been featured in articles in several magazines and newspapers. "This book is a wonderful resource for step-parents and step-children alike. It's a powerful testimony to the fact that love never fails. I highly recommend this book for anyone who is struggling to bring together a blended family. It's insights from both the adult and child point of view are invaluable. This is a powerful way for families to open up the lines of communication and let the dialogue and healing begin." 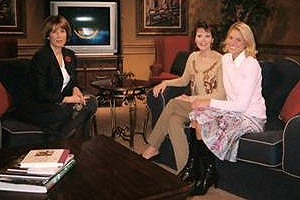 - Rhonda Glenn, Co-host, "100 Huntley Street"
"You're Not My Mom" was a riveting read, and I'm not even a stepparent. It makes you understand that a blended family can have all the tension and drama, all the sabotage and manipulation of a soap opera. At base it's a classic love triangle with the stepmom and stepkids fighting to be number one in the heart of dear old Dad and to edge out the other. And as Kali and Elizabeth make clear, the tug-of-war can go on for years. 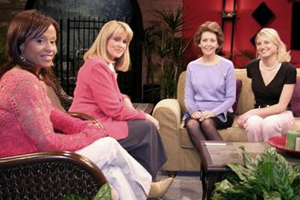 Harvest Show co-hosts Debra Maffett (Miss America 1983) and Kelly Morgan interview Kali and Elizabeth (all four women are in blended families). *WWJC-Duluth, MN - Interview with Ted Elm (April '05 and October '00). Click to hear the interview (RealMedia). Fun with Dennis Rainey and Bob Lupine after radio interviews on "Family Life Today." Starpointe Magazine (August '05) - “If I'm Not Your Mom, Why Am I Doing Your Laundry?” - Article by Kali Schnieders. Why invite Kali and Elizabeth to be guests on your show? 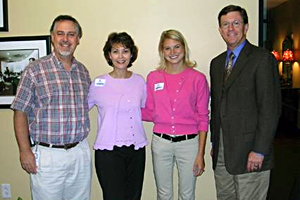 Timely topic - Stepfamilies comprise 1/3 of your audience. In the next 5 years there will be more stepfamilies than nuclear families in the United States. Statistics show that 60% of second marriages end in divorce primarily due to problems with stepchildren--New book, You're NOT My Mom!...Confessions of a Formerly “Wicked” Stepmother (NavPress). 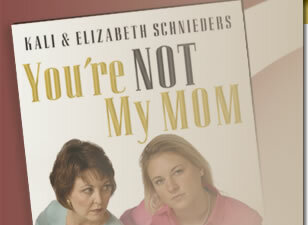 A copy of You're Not My Mom will be mailed to you the same day!!! (972) 713-9070 or (214) 924-1291. Copyright © 2019 Kali Schnieders. All Rights Reserved.